You rarely realise how much you use your back until you sustain an injury in that region, or succumb to chronic back pain. Whether it’s running, walking, lifting or even lying down, your back plays an essential role in just about everything you do. While you might be able to scrape by at work with injuries to other parts of the body, you just can’t with an injured back. Rest and careful rehabilitation are the only options. Highly Recommended Extremely pleased with the service I received at PainRelieversUK. I have used them several times now and have always had excellent customer service with absolutely no problems. Recovering from an injury or living with chronic pain is all about staying positive. 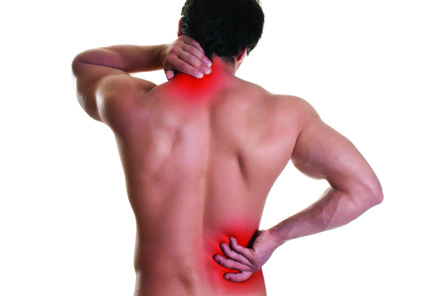 This is made easier by managing pain levels and ensuring you have a treatment plan in place to ease your discomfort. Voltarol (also known as Diclofenac Sodium) is an effective painkiller that many doctors prescribe for back and joint pain. As an NSAID, it reduces the activity of prostaglandins in the body. Prostaglandins are released when the body suffers an injury or trauma, and it is these chemicals that can lead to swelling and inflammation. By inhibiting these chemicals, products like Voltarol reduce swelling and, in turn, decrease feelings of pain. Co-Codamol is sometimes indicated for the treatment of mild to moderate pain, including back pain. It works by reducing the brain’s awareness of pain signals and desensitising nerve endings in the affected area. Tramadol is sometimes used to help those suffering from more chronic types of back pain that may have been caused by multiple surgeries. This treatment works by releasing chemicals that help the brain block out pain signals. Want more information? Learn more about Voltarol, Co-Codamol and Tramadol, or buy them today from our partner pharmacy in the UK. For weekday orders approved before 3 p.m., our dispensing pharmacy will ship the same day by tracked courier, and you can expect your order by the next working day. For orders placed after 3 p.m. or during weekends, your item will be delivered at the next available opportunity. We value your safety and privacy, which is why our partner pharmacy will ship your order only in discrete, plain, secure packaging. Buying painkillers online has never been simpler. After placing your order, you will be guided through our consultation process, where you will be asked to complete our medical questionnaire. A qualified doctor will then review your order. If your purchase is approved, your electronic prescription will be produced and sent directly to our pharmacy.